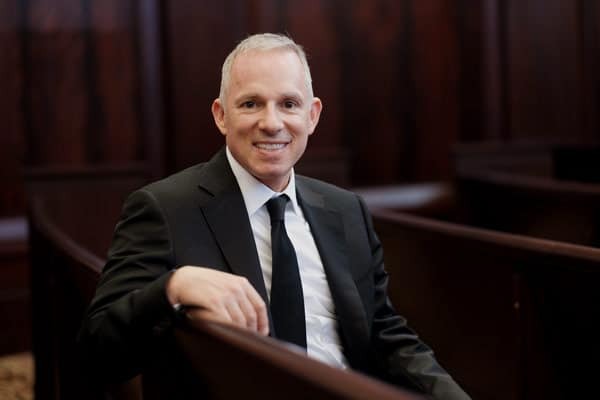 Bryan Waldman is the President of Sinas Dramis Law Firm. He believes that, in order to provide the best representation for people, it is necessary to learn about the things that make each person unique. As a result, Bryan accepts a small number of cases and spends a significant amount of time getting to know his clients, which often results in close relationships last long after their case is over. In 2003, Bryan obtained the largest jury verdict in mid-Michigan history. The verdict was for $10,680,000 and was at least more than three times larger than any other personal injury verdict in mid-Michigan and remains the largest jury verdict recorded in mid-Michigan to this day. However, Bryan says the most rewarding verdicts he has received for his clients are cases where the jury has awarded the exact relief he requested during his closing argument. “When a jury does what you ask them to do, without discounting it, they are saying, ‘I trust you and I believe you.’ That is my goal as a lawyer. I want everyone I encounter – judges, jurors, and most importantly, my clients, to know I ‘ve done my homework. I’m presenting things in a way that is honest and exposes the truth,” Waldman says. Bryan is an adjunct professor of law at Michigan State University College of Law where he teaches a course in Michigan’s Auto No-Fault Law. He has also served as a guest lecturer on litigation topics at Wayne State University Law School and University of Michigan Law School. Over the course of his career, numerous publications have recognized Bryan’s work. 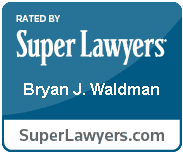 In this regard, he has been included in the publication Best Lawyers in America, in the area of Plaintiff’s Personal Injury Litigation, every year since 2007. He was also selected as the publication’s Lawyer of the Year, Plaintiff’s Personal Injury (Lansing, Michigan) in 2015 and 2017. 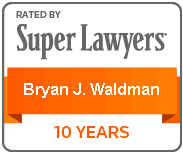 Michigan Super Lawyers also named Bryan to its annual lists in the years 2006-2008, and 2011-2018. 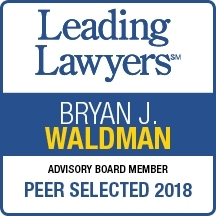 In 2016-2018, Leading Lawyers recognized Bryan in the areas of personal injury and product liability law. Bryan is a Cooperating Attorney for the ACLU of Michigan and in this capacity has co-counseled a number of significant civil rights cases. As part of the firm’s belief that Michigan residents have the right to know the laws designed to help protect them, Bryan also regularly appears on WLNS 6 “Legal Edge” with Chivon Kloepfer. Topics cover many little-known laws that often spark confusion or controversy in the Lansing community and beyond. In 2007, Governor Jennifer Granholm appointed Bryan to the Michigan Civil Service Commission and shortly thereafter, the other Commissioners elected Bryan as the Chair of the Civil Service Commission. He served as Chair until July 2008. 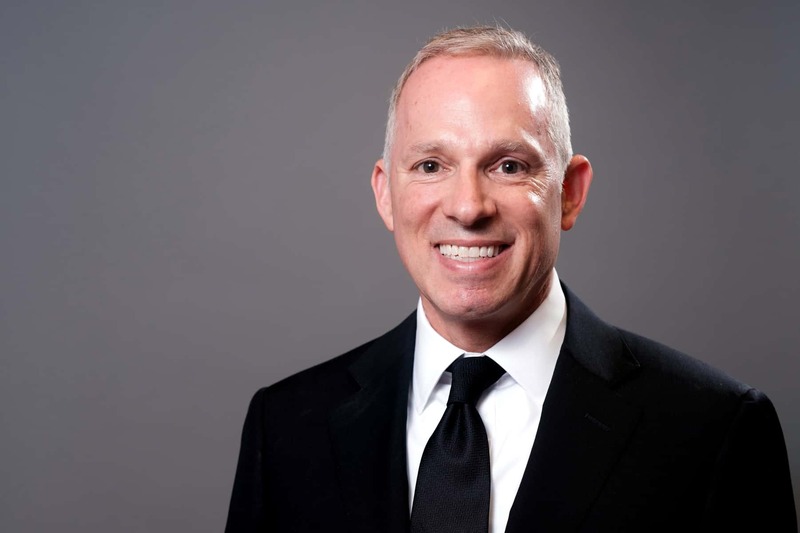 Bryan served as President of the Michigan Trial Lawyers Association (currently Michigan Association for Justice) in 2003-2004 and continues to serve on the organizations executive committee. He is also a member of the American Association for Justice. An avid cyclist, Bryan also diligently advocates for the rights of Michigan bicyclists. He is a member of Bike Law, a national network of bicycle accident attorneys who are dedicated to representing cyclists and educating the non-cycling community about safety and bicyclists’ rights and serves on the Board of the League of Michigan Bicyclists. Bryan obtained his undergraduate degree from Michigan State University and his law degree from Wayne State University.